The soundness of cement and lime is determined by using the expansion test with Le Chatelier moulds according to the relevant standard. 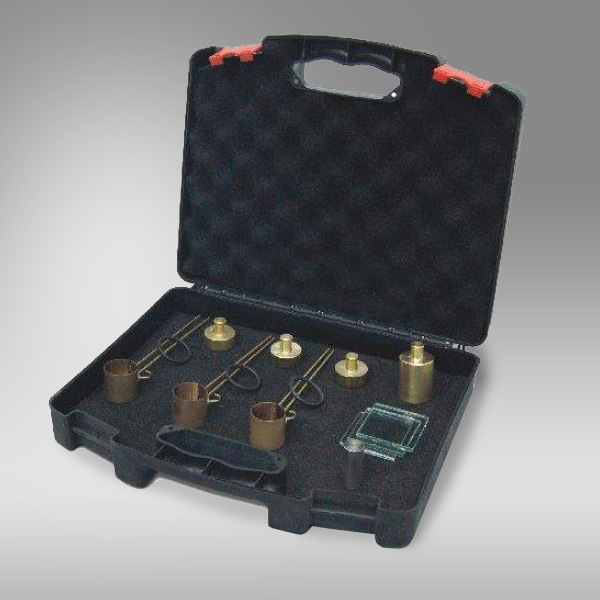 Le Chatelier Soundness Kit is supplied complete with Le Chatelier moulds (3 pieces), 50x50 mm glass plates (6 pieces), a 300 gr weight, 100 gr weight (3 pieces), a 17 mm dia. x 70 gr tamping rod, a steel ruler and a plastic carrying case. Le Chatelier moulds 3 pcs. 50x50 mm glass plates 6 pcs. 300 gr Weights 1 pcs. 100 gr Weight, 3 pcs. EN 196-6 Methods of testing cement. Determination of fineness.